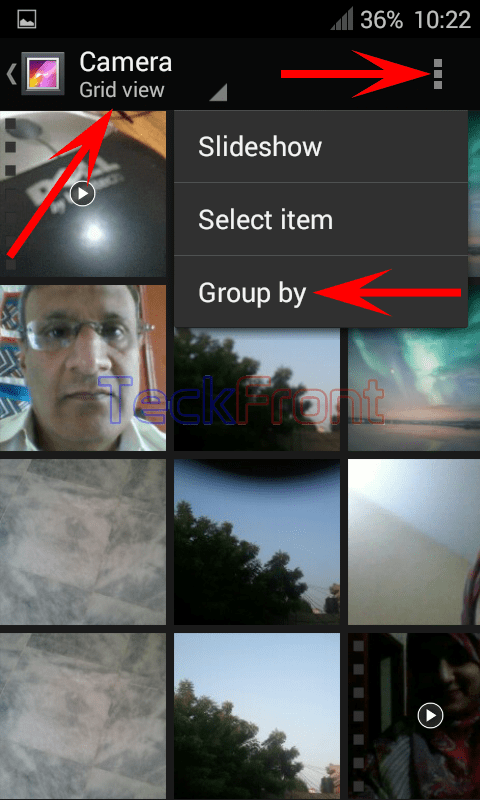 How to Group Snaps by Location, Time, People or Tags in Android 4.4.4. KitKat Device? 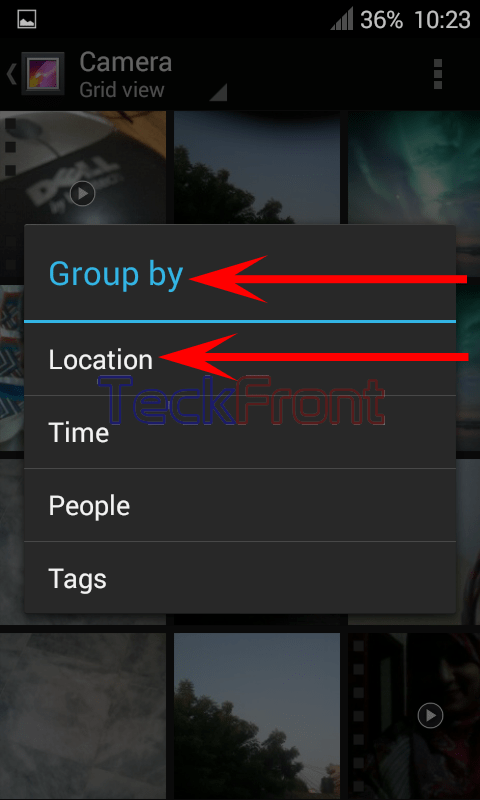 How to Group Snaps by Location, Time, People or Tags in Android 4.4.4 KitKat Device? With a few tap of buttons on your Android 4.4.4 KitKat device, you may arrange the snaps according to your choice. Command Line: Gallery App – Home > Albums screen > Camera Grid View > Selection Button: Group by. 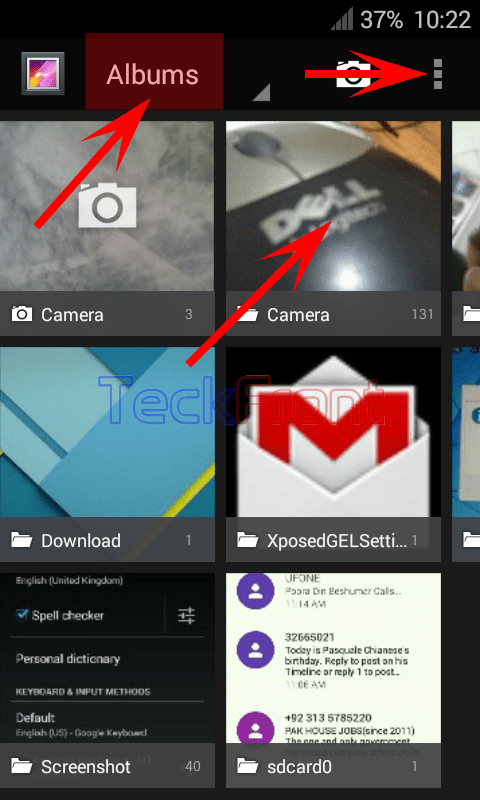 1: Tap the icon of ‘Gallery’ app at the Home screen of your Android 4.4.4 KitKat device. It will open up the ‘Albums’ screen. 2: Select the album the snaps in which you want to arrange. I selected the ‘Camera’ album and tapped it. It opened up the ‘Grid view’ of ‘Camera’ album. 3: Tap the ‘Selection’ button at the top right corner of the ‘Camera’ album. It will open up a popup menu. 4: Tap the ‘Group by’ in the popup menu. It will further open up a popup menu ‘Group by’. 5: See the four features, listed, in the ‘Group by’ popup menu. 6: Tap any of the desired or required feature and the collection of the snaps will be arranged accordingly. Newer How to Switch ON Mobile Data Limit in Android 4.4.4 KitKat Device? Older How to Choose Color Effect for the Videos in Android 4.4.4 KitKat Device?